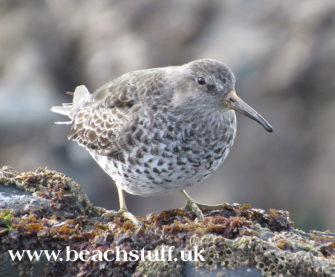 The birds listed below are those birds you are most likely to see on, or from, the strandline. 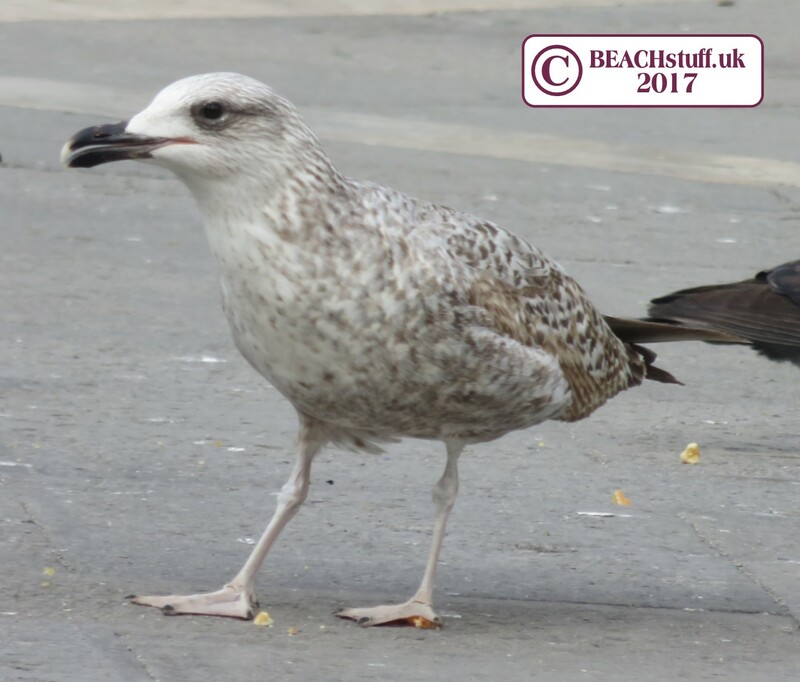 Of course, birds can turn up just about anywhere if that is what takes their fancy. Having recently watched surfers out at sea being harassed by a flock of Canada geese who had no business being there, I am aware that this is not an exact science. 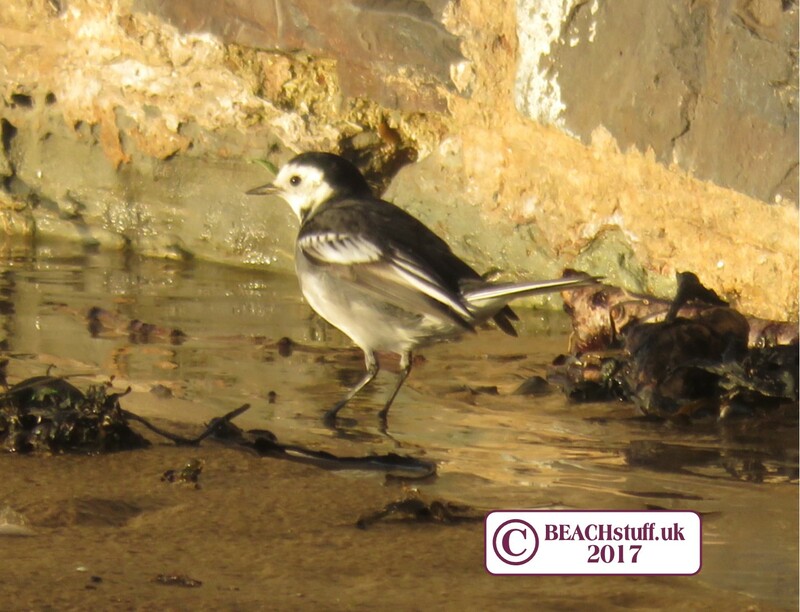 The RSPB (Royal Society for the Protection of Birds) have an excellent site if you want to know more about our birds. 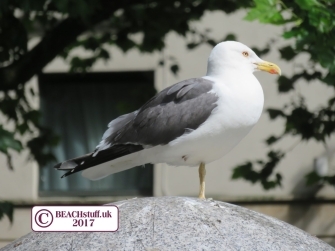 These are the birds we generally think of as 'seagulls'. While we tend to think of them as very common, their numbers are actually in decline although perhaps they have been pushed into coming into contact with humans more often as fish populations have declined and urban rubbish has increased. 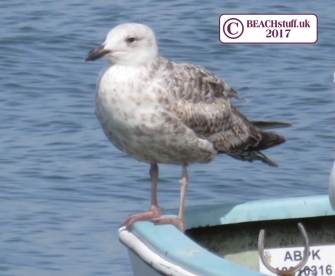 Herring gulls are remarkably long-lived, some having lived to 49 years old. 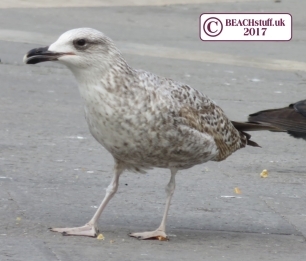 If this were a spot-the-difference competition with the Herring Gull, there are two easy picks - the first is the yellow legs instead of the Herring Gull's pink legs and the second is the thicker red eyeliner on the Yellow-legged gull. Their grey feathers are also a shade darker. 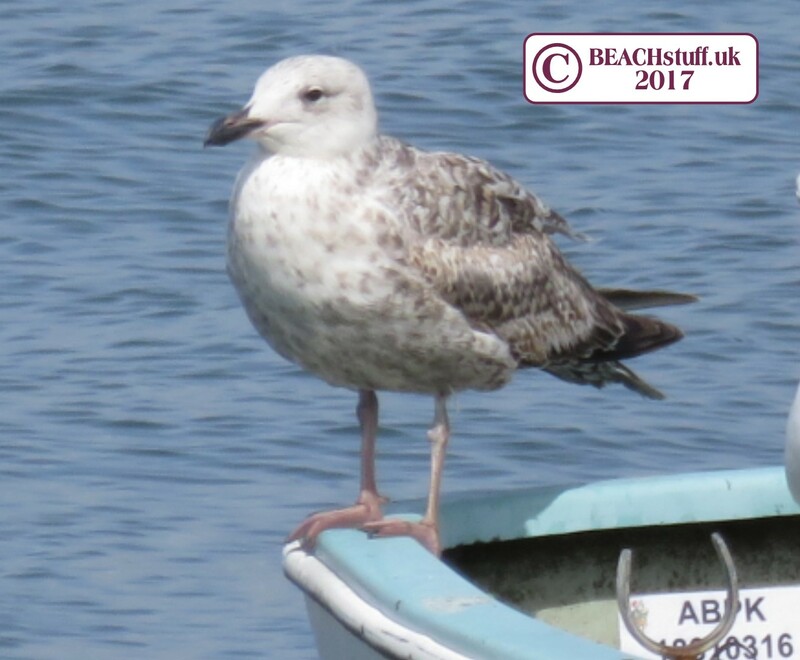 These are about the slightly smaller than the herring gull and a slate grey rather than light grey with yellow legs. 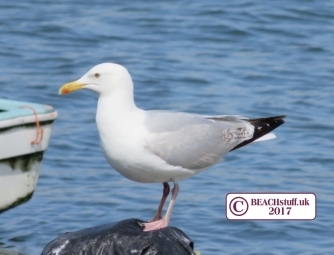 It is common all around the English and Welsh coasts but often mistaken for a herring gull. 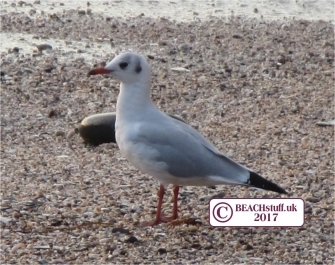 I know what you're thinking, where's this black-headed gull's black head? 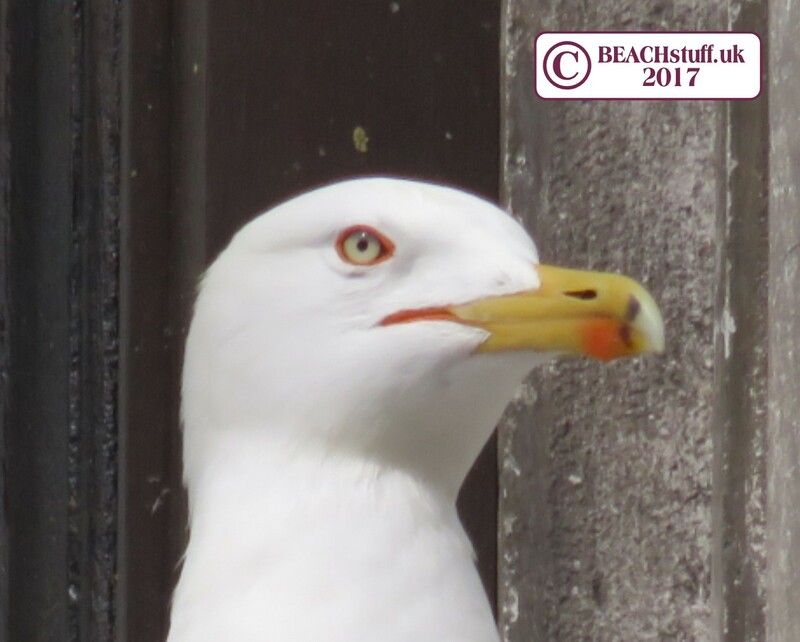 Here's the thing - it only has a black head in the summer (below left), losing it in its winter plumage which leaves it looking not unlike a small herring gull (with red legs). The juvenile black-headed gull (below right) also is without a black head. 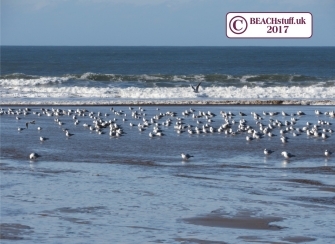 A large flock of black-headed gulls (winter plumage) on the beach. 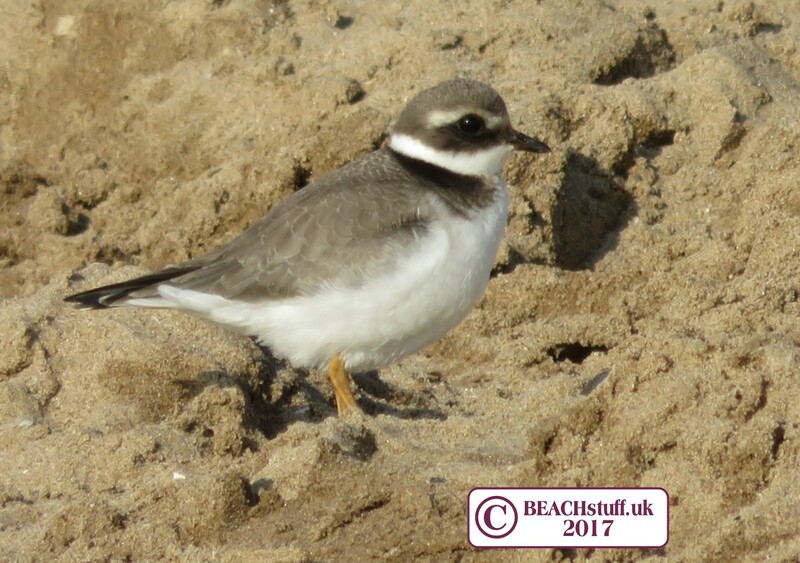 These small birds hop about on rocky or sandy beaches looking food - insects, crustaceans or sea snails. These are sweet little birds that I always enjoy seeing. 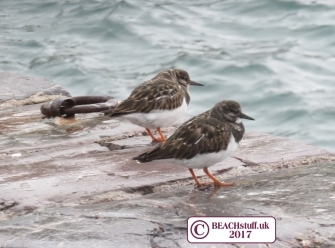 Their activities are not unlike the turnstone above but they are also partial to marine worms which they pull out of the sand. 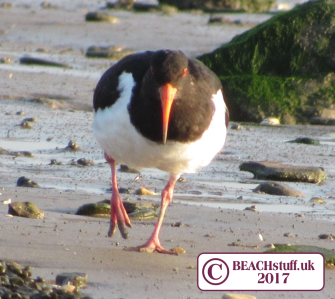 I think if a child were going to imagine a seabird, they would probably create something that looked like an oystercatcher with their bright orange legs and over-sized beak. Oyster catchers are out on the hunt for cockles and mussels on rock pools and in the sand and chirp to each other loudly as they search. 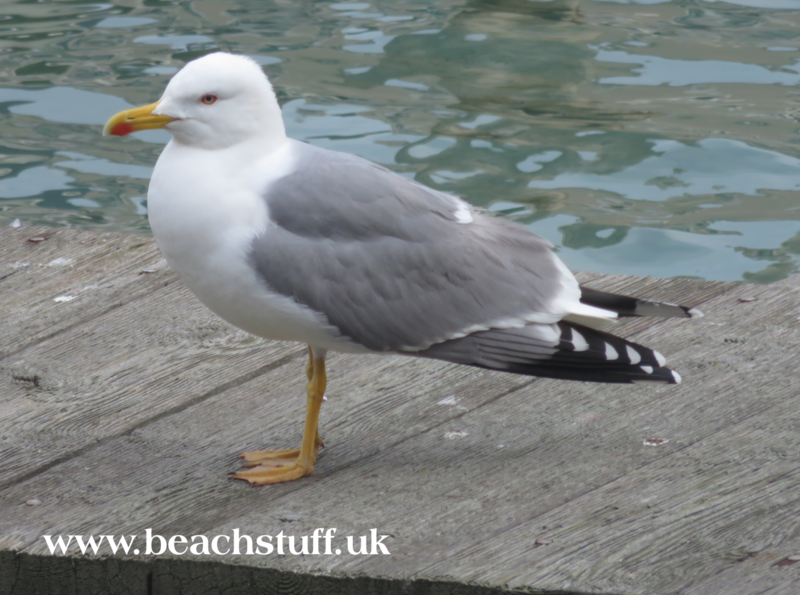 Listen to the video below for a snippet of their lovely chattering. 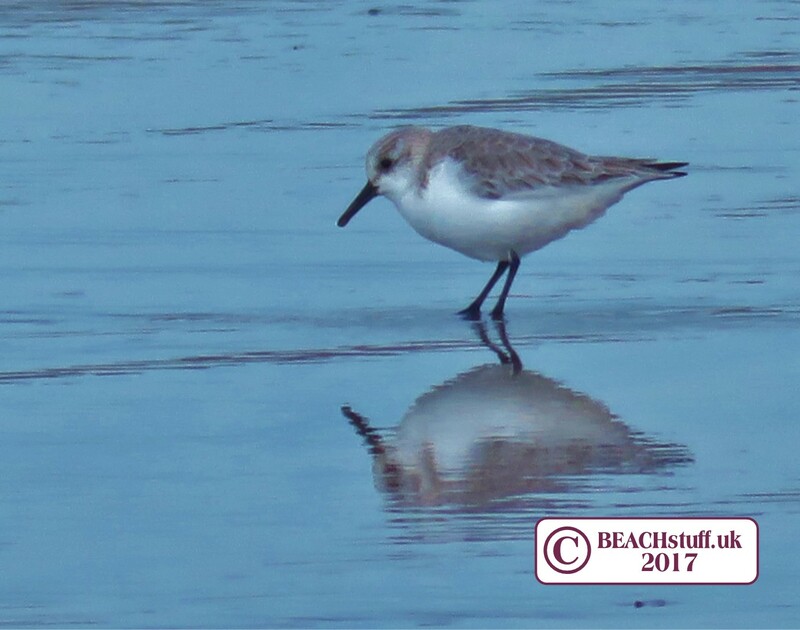 I could watch these little birds for hours. They hunt on sandy beaches - just on the water's edge - for marine worms and sea snails but they seem to avoid every incoming wave by running rapidly towards the beach. 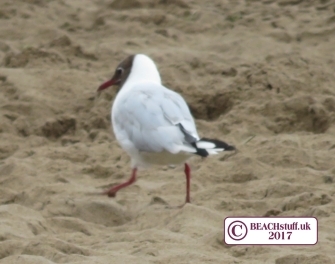 When the wave recedes, they follow it back down the beach it as fast as their little legs will carry them. While they are known to breed in the the north of Scotland, in the rest of the UK, they are only seen when they stop here to rest on their way to somewhere else (the warmth of South Africa). 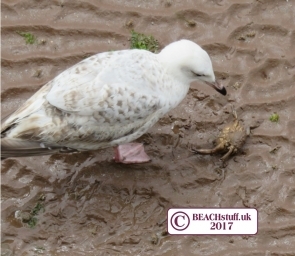 They hunt in the mud of estuaries and the sand of beaches for crabs, shrimps, sea snails, and marine worms. 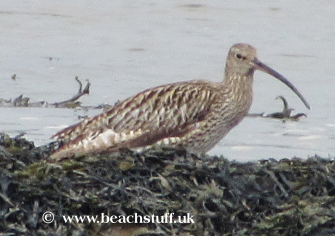 On the face of it, the curlew looks very similar to the whimbrel (above). However, there are some significant differences. 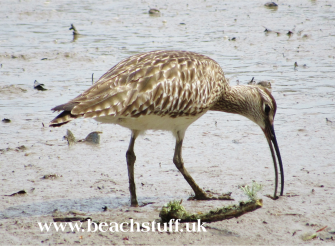 The curlew can be seen in the UK all year round as it breeds here, it is larger than the whimbrel and it lacks those dark stripes on the whimbrel's head. 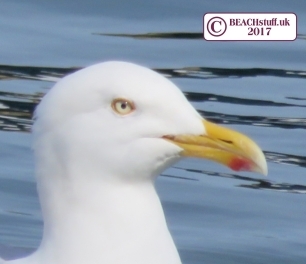 It does, however, share the same taste for sea snails, worms and shrimps. 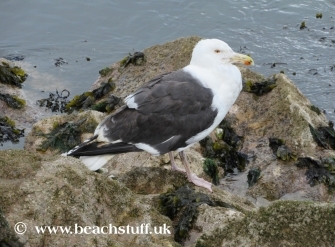 This is a winter visitor only (it generally doesn't breed here) in the UK where it likes our rocky beaches. Its favourite seaside treats are crabs and winkles. The dead birds I find washed up are, 9 times out of 10, gannets. It is so sad to see such large, elegant birds dead like this. 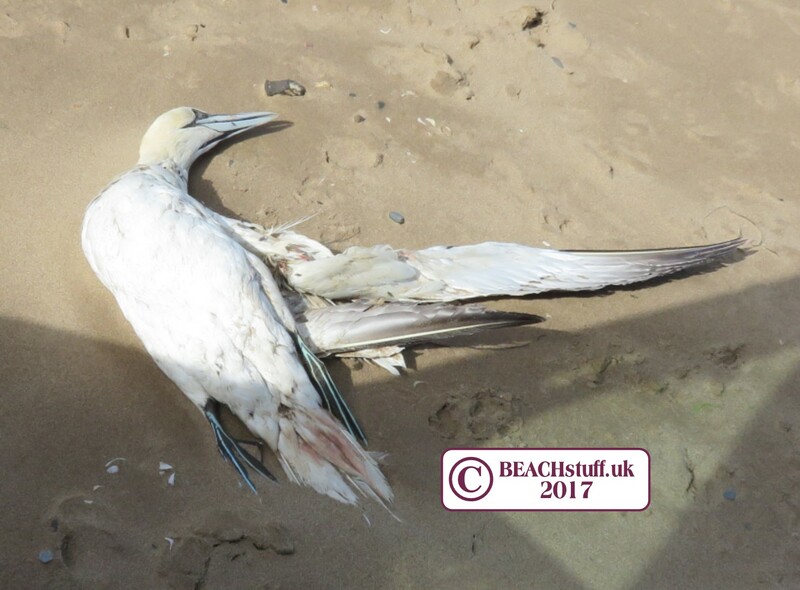 There are many theories about why we find dead marine birds in numbers on the strandline. Some will have died of natural causes but others may have become tangled in ghostgear. 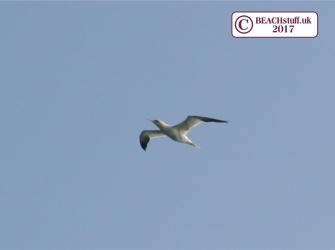 A large bird that can be seen fishing offshore. 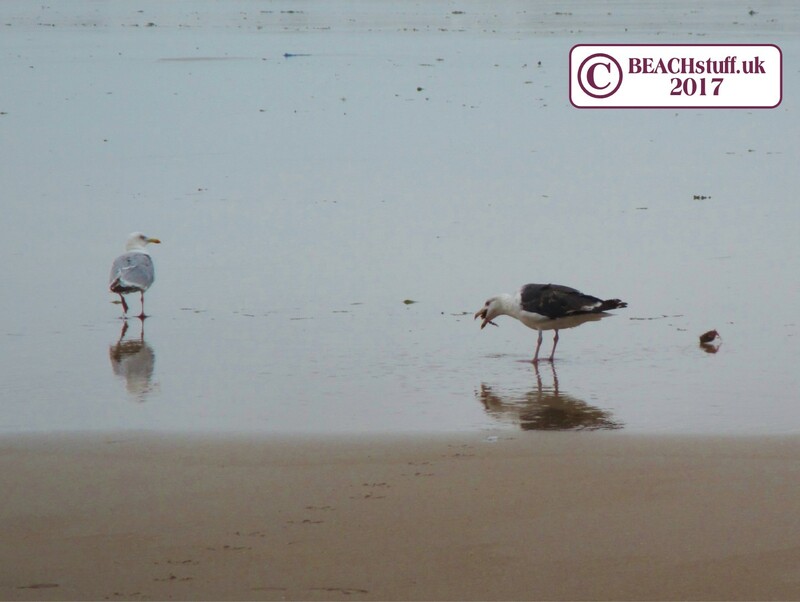 They under the surface of the water after their prey and reemerge often some way from where they went in. 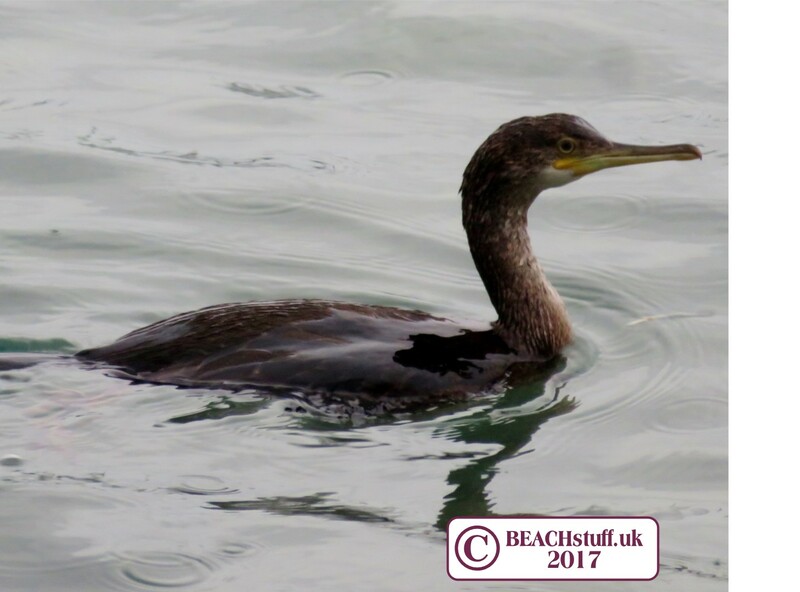 It is easy to mistake the shag for the cormorant below. 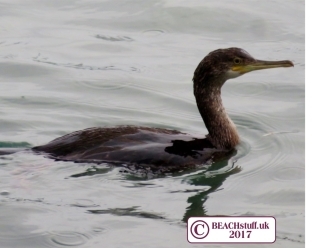 Close up, it can be see that the shag's face has a steeper profile than the cormorant. 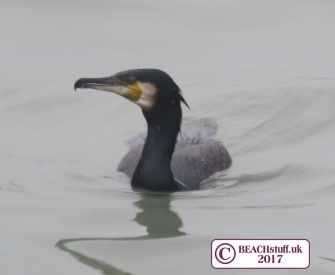 The cormorant can also be seen fishing by diving under the water. The cormorant is bigger than the shag (although that really only helps as an ID tip if the two are stood next to each other...). 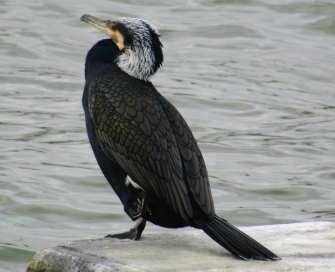 Cormorants have a flatter head. Coromorants can often be seen standing drying their wings by holding them outstretched. It's quite a sight as its wingspan is about one and a half metres. 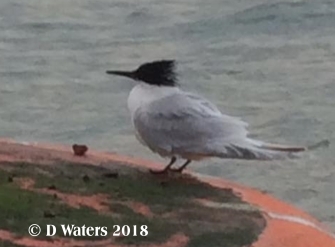 Pictured right is a continental (sinensis) cormorant, distinguishable by the shape of its yellow cheek patch, in breding plumage - the white collar band. 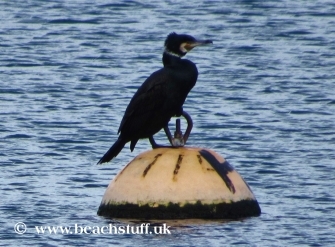 This is, apparently, irresistable to female cormorants. 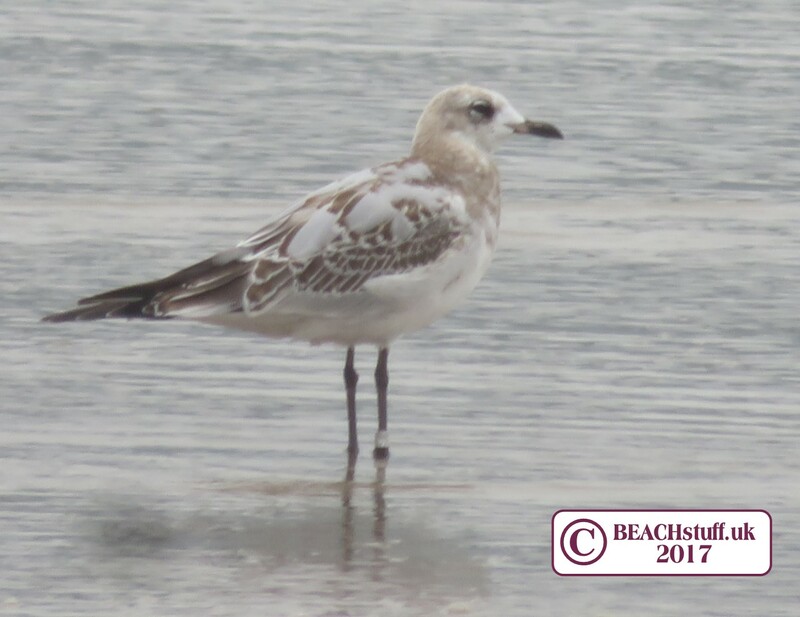 And below, in winter plumage. 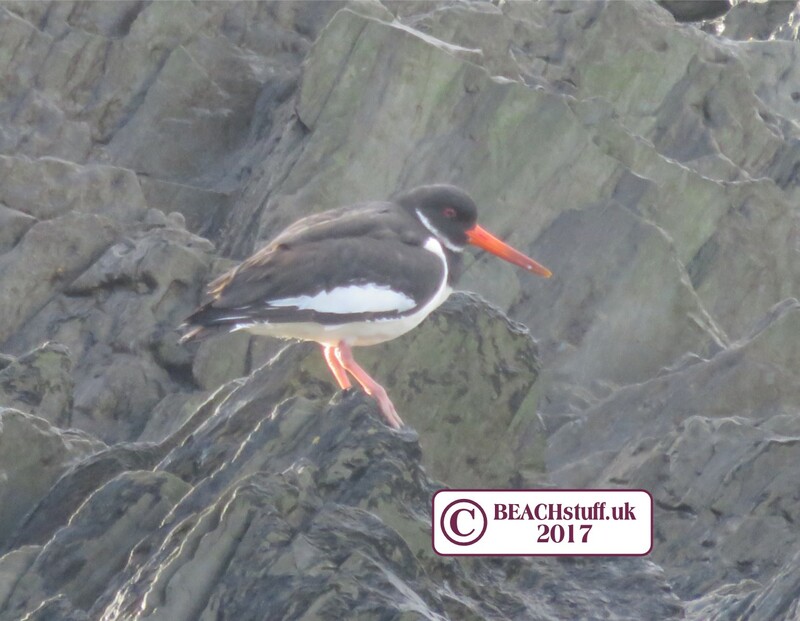 During 2016, a pelican was seen on the coast of Cornwall and North Devon. 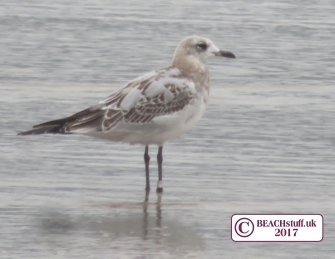 With a 5ft wingspan, it was an incredible sight - and an incredibly rare sight. 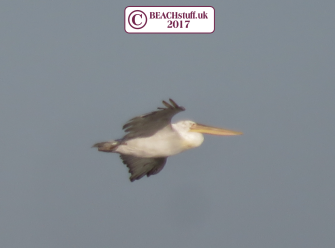 I plotted the sightings of the pelican across Europe and in England - the resulting interactive map can be seen here. This gorgeous yellow and brown bird (a little chubby maybe) hangs around on coastal rocks and rocky shores where it hunts strandline insects, as well as small fish and small shellfish. 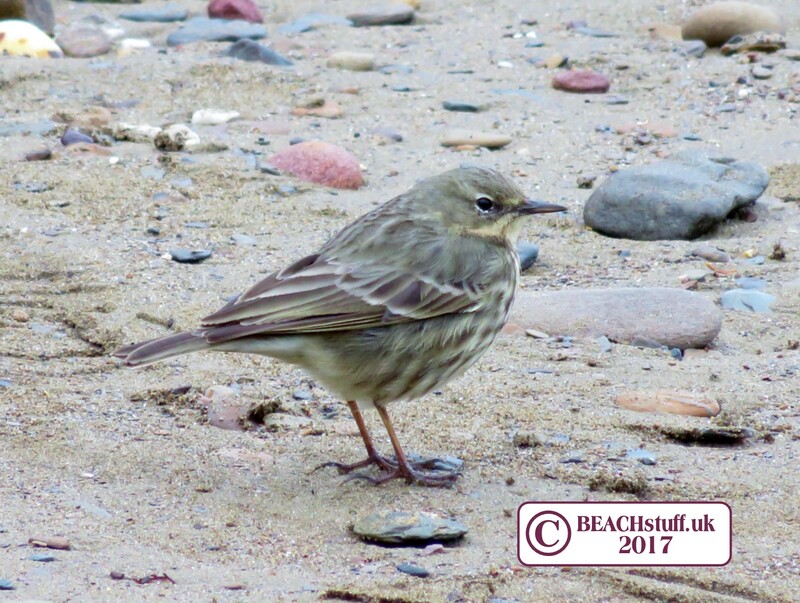 The short clip below shows a pipit on coastal rocks looking for insects. 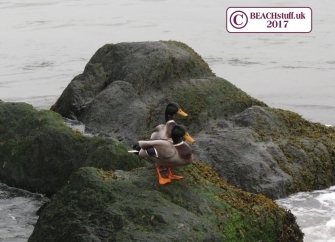 We tend think of ducks as being on freshwater lakes and inland streams and parks but they are actually just as at home in the sea. 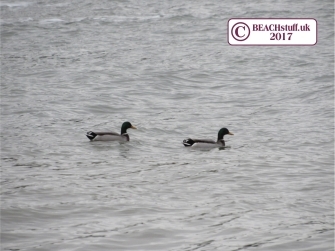 Although they do stay close enough to shore to have a good view of the land, they can sometimes be seen 'surfing' little waves. 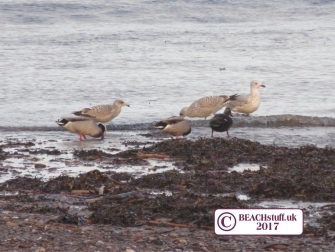 Below - herring gulls and mallards foraging on the strandline together. Non-marine birds that regularly take an interest in the strandline - so we are taking an interest in them. 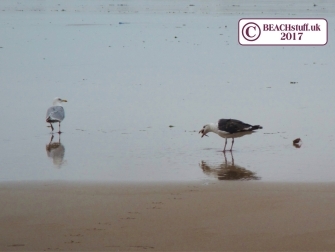 These birds are rarely still. When they are not bobbing up and down (wagging their 'tails'), they are frantically running about. Their mission is to seek out insects. And there are a lot of insects on the strandline. 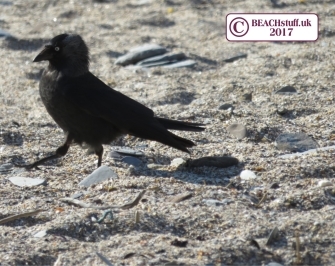 Jackdaws have a charming habit of strutting with their heads held at a fantastically pompous angle (have a look at the video below left). 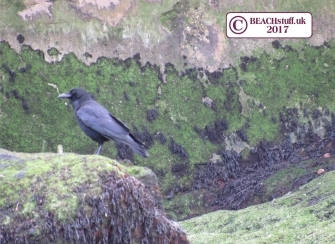 They, along with other members of the crow family, search the strandline for insects and whatever else they can find that might be tasty. 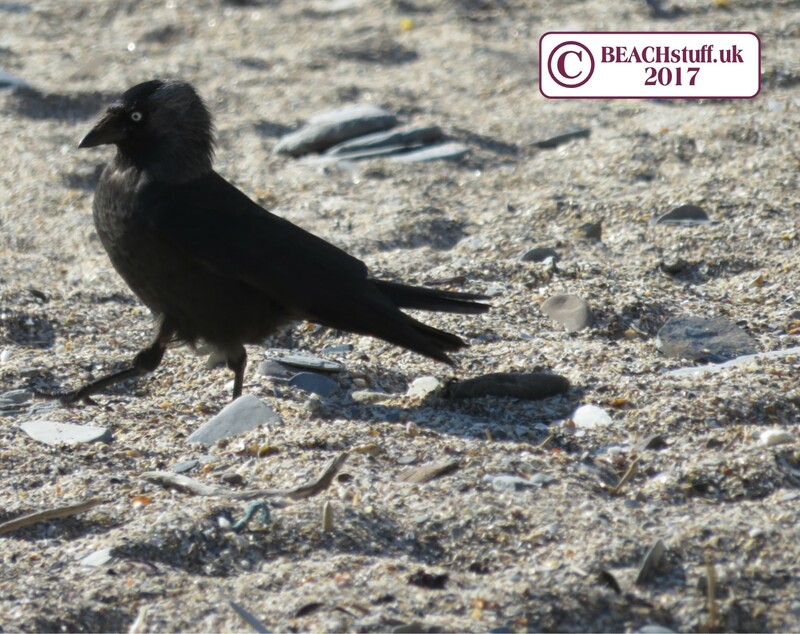 Jackdaws are related to crows (below right) but seem a bit more friendly and a little more camp.